When you get to the office this Wednesday, look around. Do you spot anything different? Notice anyone missing? There’s a good chance you’ll see far fewer of your female colleagues than usual. That’s because 8 March is International Women’s Day, a celebration of the many – and all too often overlooked – contributions women make to society. And this year, women in the US are marking the event by going on strike. 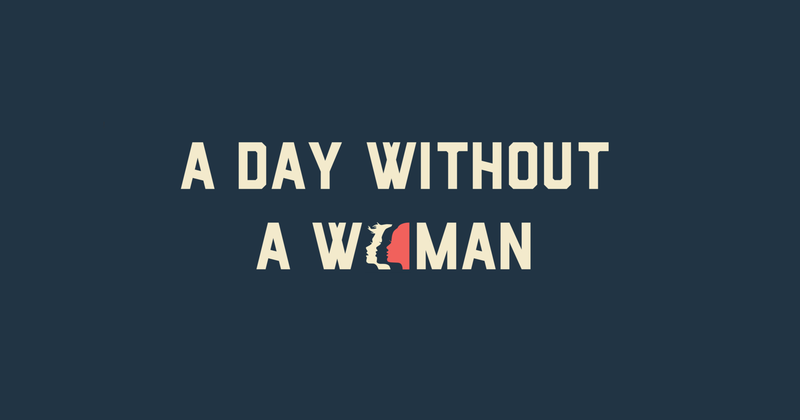 For one day, women will stop working, leave the chores to someone else and refrain from making any purchases. “The goal is to highlight the economic power and significance that women have in the US and global economies, while calling attention to the economic injustices women and gender nonconforming people face,” the organizers explain on their website. Just how significant is that economic power and contribution, and what would a day – or world – without women really look like? Here’s a snapshot. When women earn money, they are more likely than men to invest it in things that really make a difference – their child’s education or health, for example. Take this World Bank study from Brazil: it found that when women controlled their household budget, the likelihood of a child’s survival increased by 20%. Those findings are backed up by the research of Nobel Prize-winning economist Muhammad Yunus. While his groundbreaking work on microlending initially targeted both sexes, he soon found that when women controlled the money, it got put to much better use. “We saw that money going to women brought much more benefit to the family than money going to the men, so we changed our lending policy and gave a higher priority to women,” he explains. What happened to the unpaid help? Grocery shopping, cleaning, cooking – we might take a lot of these things for granted, but we’d quickly notice if either they didn’t get done or we had to pay someone the market rate for doing them. This 8 March, expect to see a lot of empty refrigerators, dirty houses and hungry families. That’s because women do the lion’s share of these vital but undervalued tasks. In fact, women spend on average 4 hours and 47 minutes a day on unpaid work, compared to just 1 hour 30 for men. Women’s labour force participation varies around the world – from just 15% in Algeria all the way up to 88% in Tanzania. But whatever country we’re talking about, one thing stays constant: not a single one has managed to close its gender pay gap. “Women’s average earnings are almost half those of men, with average global earned income for women and men estimated at $10,778 and $19,873, respectively,” finds the latest Global Gender Gap report. Some businesses and service providers might just about get by without their female workforce this 8 March (others not so much). But they’ll all realize how valuable their “cheap labour” actually is. If women stay at home on 8 March, expect retail sales to take a hit. That’s because in many countries, women control the vast majority of consumer spending. In the US, for example, it’s estimated that they account for 85% of consumer spending. “The strike has the potential to cause serious economic losses,” Joe McCarthy points out in a blog for Global Citizen. For women-owned businesses – which make up around 40% of privately held companies in the US – the strike could be something of a boon, as protesters are being asked to shop with them. You’ve heard of the gender pay gap – but what about the ‘sexuality wage gap’?